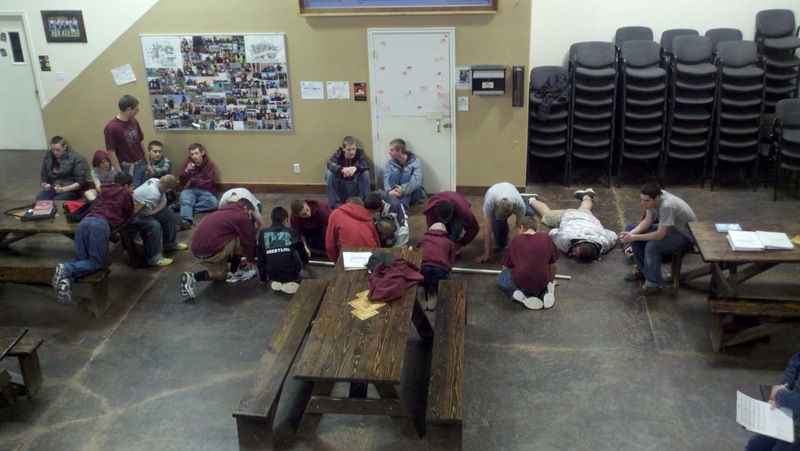 Diamond Ranch Academy | Stone Ridge Campus for 12-16 Year Old Boys: Group Day! Group Therapy Day was awesome! The therapists did an amazing job with having thoughtful and entertaining games and projects for the students. On this one they had to lower a pole as a team and keep it perfectly level the whole time and learn to work as a team! It was really hard! Here they had to walk on crates and pass them to move in around a course. 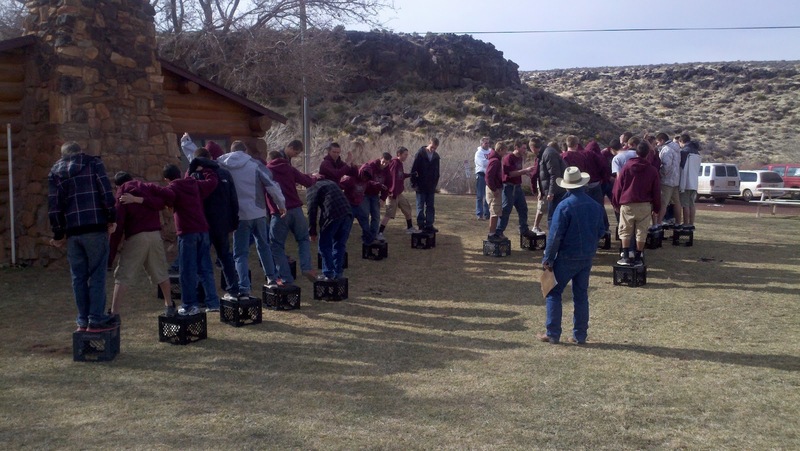 The students had 2 crates less then the nimber of students on their team. Multiple teams had to start over due to falling or messing around and not working as a team. In the end it went really well and the guys learned some really good lessons on Friends and what friends to choose. It was cool to see how the therapists and students were able to ﻿process all the events and enjoy themselves so much. Thanks Clinical!